Everyone wants their wedding day to be special and unique- after all, it's one of the most important days of your life. When planning the big day, the main focus tends to be on the wedding breakfast and reception afterwards, particularly if you have a big theme in mind. There is endless advice available about how to decorate your venue to make your wedding stand out, and many different ideas about how to entertain your guests at the reception. What often gets ignored is the ceremony itself, which is by far the most important part of your wedding. This shouldn’t be pushed aside, in fact, you should focus on planning this aspect the most. Many ceremonies are the same; you walk down the aisle, you say your vows, there some hymns and then you walk back down the aisle together as a married couple. It’s the most emotional part of your day, but if your ceremony turns out to be a fairly run-of-the-mill one, most of your guests will probably be itching to get it over and done with. 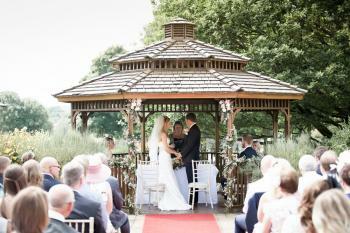 Whether it’s creating your own vows or involving guests, we have asked the www.theweddingsecret.co.uk to share their five tips on how to make your ceremony very personal to you as a couple. In every wedding, there is always an aisle of some sort for the bride to walk down and then the couple to leave from together with guests either side. Most venues tend to put a red or white carpet down leading up to the altar. Have a pop at personalising this to make the journey to your partner a little more interesting. Why not buy your own runner and write down memories from the very first time you met, leading up to your wedding day in chronological order. This means that each step you take down the aisle represents the journey you have made together right up to the point of joining in marriage. It’s such a beautiful and cute idea and can also entertain your guests as they have a read while they wait for you to arrive. It may even help guests find their seats in the ‘timeline’ of your relationship if they have somewhere allocated! 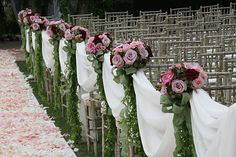 Another idea is to replace a carpet aisle runner altogether and have the lead up to the altar covered in flowers and petals. Seeing the bride walk down the aisle will surely make all of your guests’ heart melt, and definitely have their partner smiling at the other end. Planting a seed or sapling can symbolise the start of a new life - many people even plant a tree when their children are born. Why not incorporate this into your ceremony? Once you have said your vows, plant a seed or a small tree in a pot together and give it its first water. Some venues even allow planting a tree in their grounds. This will symbolise the start of your new life together and it’s a beautiful way of representing this, particularly if you’re both lovers of nature and the outdoors. This tree can then be replanted in your home and grow as your marriage grows. 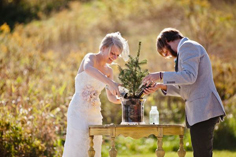 For more intimate ceremonies with just your loved ones, have them come up in turn and put some soil over the plant to represent two families coming together. It not only gives something for your guests to do, but also makes them feel a very special part of your marriage. Everyone knows the traditional wedding vows by heart, and whatever your religion or culture is, they essentially tend to mean the same thing. ‘I take you… in sickness and in health’. Make these vows more personal to you as a couple and agree to write them for yourselves. This way you are making real promises to one another. 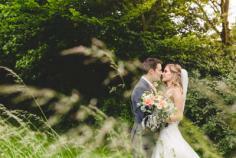 There are so many options of how to style your vows and it really depends on you as a couple. If you and your partner are the sort that likes to joke around, slip in something funny or add a promise to always laugh at their jokes. Talk about how your life has changed since you have met them and maybe include a few words about how strong your love is. Don’t make these too long- remember you are with guests and family and they have to sit through the ceremony. The music choice of your ceremony will set the whole tone for the rest of the wedding. 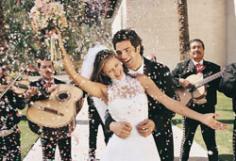 Avoid playing the traditional wedding march… we’ve all heard it many times, thanks! If your ceremony is not held at a place of worship, try to avoid just putting a ‘cute’ song on some speakers as you walk down the aisle. Do something unexpected and have a wedding band play live music as you walk down the aisle and as background music for the ceremony. Even better, if you had them play something totally unconventional and alternative but means something to you as a couple. 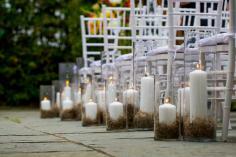 Candles are always associated with romance as they set a beautiful romantic atmosphere. Having candles at your wedding is essential. A more recent tradition features you and your partner lighting a unity candle during your ceremony to symbolise two families coming together as one. You both have two small candles lit and put both of these together to light a larger candle. If you want to incorporate all your guests and create a much more romantic and beautiful atmosphere, change it around and have your guests have a candle each and pass the flame amongst each other, lighting yours and your partner’s and then finally lighting the main candle. With all your guests holding a lit candle, this creates a perfectly romantic atmosphere for your ceremony and a wonderful time to then exchange vows with one another. Broaden your mind and think very creatively! Try and come up with a few more ideas that are seriously personal to you as a couple. Perhaps devise a dance for you to do down the aisle once you are married? Or if you’re a musical couple, sing your vows to one another? The possibilities to make your civil ceremony special to you are endless.